The Mormon Channel, the official radio station of The Church of Jesus Christ of Latter-day Saints, plays talks, devotionals, music and more than a dozen original programs around the clock in seven different radio markets across the United States. From Los Angeles to Cincinnati to Washington, D.C., if listeners don’t live within ear-shot of one of the seven markets, they can go online to radio.lds.org and listen to a live stream. The Mormon Channel can be accessed online from anywhere in the world, and there are cell phone apps that will also access the channel. Digital radio now enables a single station to broadcast on three different channels on an HD radio. For example, channel 3 on KIRO 97.3 FM Seattle allows listeners to hear the Mormon Channel in the northwest on HD or satellite radios. The Mormon Channel utilizes the Church archives for the majority of its 24/7 on-air content. In the archives are 74 years of Music and the Spoken Word and 180 years of General Conference recordings. Other archived resources include BYU devotionals, University of Utah Institute of Religion talks and Mormon Tabernacle Choir performances. The Mormon Channel also has a handful of original programs that explore different aspects of the Church, the viewpoints of its members and the lives of its leaders. One popular program is called "Conversations." Interviews with church leaders and interesting Latter-day Saints give listeners the opportunity to hear leaders speak candidly about their lives and challenges they have faced. Another popular program is called “Stories from General Conference,” which addresses a gospel topic by picking out stories from General Conference talks and compiling them into episodes. 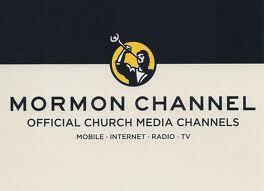 Among the Mormon Channel’s goals for the future is to reach as many people as possible, which means broadcasting in languages other than English, which is the only language the station is available in right now (2010). This page was last edited on 17 September 2010, at 09:38.